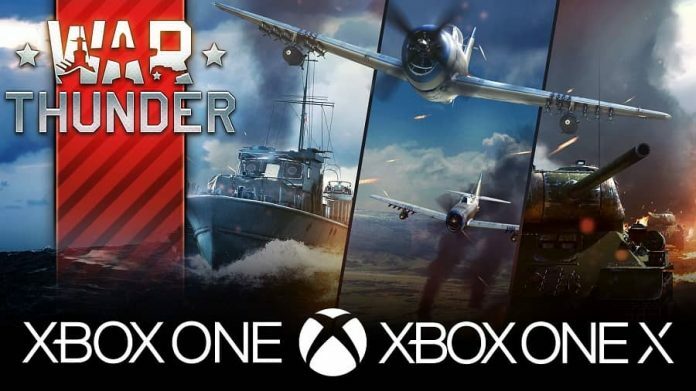 Back in June 2018 we saw War Thunder blast on to the Xbox Store. Billed as the most comprehensive MMO military game of its kind, the free-to-play ideals that it came with were very interesting – except for back then it wasn’t actually free and you had to go out and spend cold hard cash on a number of early access bundles in order to enjoy it. That was disappointing to many but today there is good news, for War Thunder has finally arrived as a proper free-to-play title – although is you wish to splash the cash then the opportunity is most certainly there. You can read our full review of War Thunder for a full insight into how things work, but basically put, if you’ve been holding out for the day which sees the game really become properly free-to-play, then that day has arrived. War Thunder is available right now for nothing, letting you immerse yourself into the wonderfully detailed world of military battles like never before. With super realistic environments, over 80 maps and more than 1000 vehicles promising a variety of experiences, this is certainly not one of those 5-minute wonders the gaming industry is well known for. Depth is most certainly the name of the game here and whether you are battling over the land in the most comprehensive of tanks, hitting the high seas with a fast attack boat or taking to the air in the most nimble of planes, you’ll never be left wanting with War Thunder. Of course, part of the draw behind any F2P title is the chance to spend a bit of cash and get one up on the opposition and War Thunder certainly allows that. The super cheap Beginner’s Bundle (£3.99) will bring everything you need to really get started, but alongside that are a ton of other packs vying for your cash. The route you take is completely up to you, and the likes of the HMCS Haida Pack (£39.99) will give you access to the best Destroyer for sea battles, unless you prefer the MTB Fairmile D Pack for £15.99 of course. The SdKfz 140/1 Pack for £5.59 delivers a premium Rank 1 German vehicle too but the biggies come in the form of new helicopters and there are multiple options there too – BO 105 CB-2 Pack (£31.99), T-55AM-1 and Hind Bundle (£49.99), XM-1 Chrysler and Huey Hog Bundle (£49.99) and BO 105 CB-2 and Leopard Bundle (£49.99) are just a few. Yep, a full tour of War Thunder isn’t going to be a cheap ride but you have to take in to account the fact that any F2P title is going to try to draw open your wallet more than a full-price premium title. At least this way you get to make the choice yourself. But which route will you take to all-out victory? Let us know in the comments.